Another challenge card for you today. 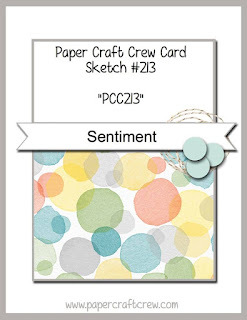 I'm just loving the sketch challenges, and the latest from the Paper Craft Crew is another winner! Let me tell you, if you ever feel like your creative mojo has left you, just look for a sketch challenge; ANY sketch challenge. 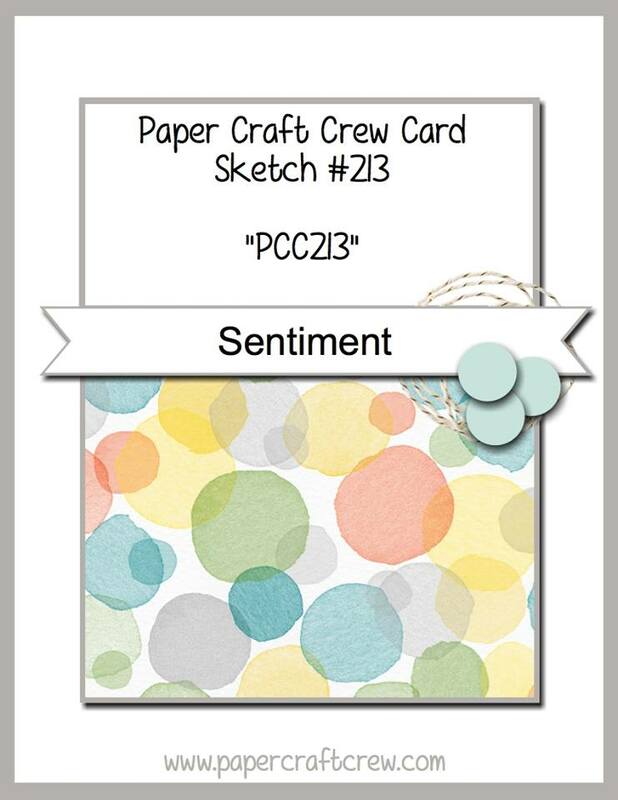 There are tons of them out there, and having a "road map" for your card makes it so simple to create! Banner: Whisper White 1/2" x 4"
Wreath: Gold Foil and Garden Green 3" x 3"
Bow & berries: Real Red 1" x 4"
DSP: Fancy Frost 2" x 3-1/4"
Presents & Pinecones 2-1/2" x 3-1/4"
Mat: Garden Green 3-3/8" x 4-5/8"
Card base: Whisper White Thick 5-1/2" x 8-1/2" scored and folded at 4-1/4"
Adhere both DSP pieces to mat and then to card base. Die cut swirly wreath from gold foil and Garden Green cardstock and adhere to card base, with gold on bottom and green rotated slightly. 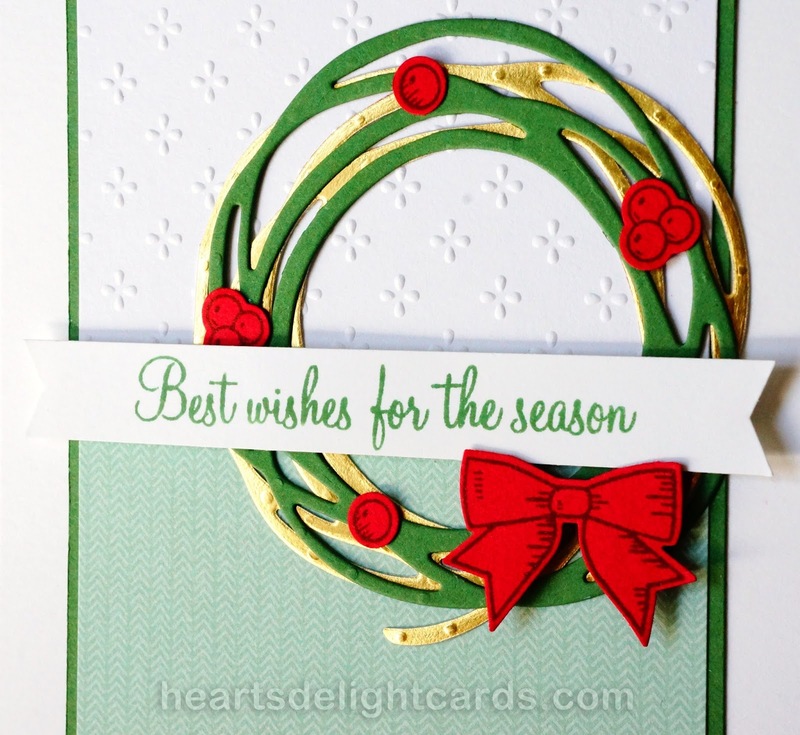 Stamp greeting in Garden Green ink on white strip, cut banner ends and adhere to card with Stampin' Dimensionals. 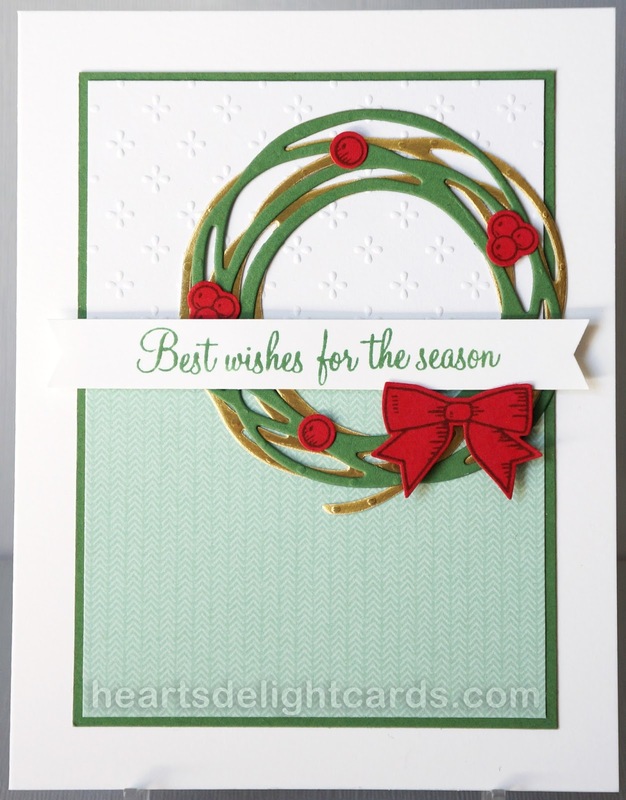 Stamp bow and berries using Cherry Cobbler ink on Real Red strip. Punch out with Holly Berry Builder Punch. Attach bow with dimensionals and berries with liquid glue. Note: The stamp set and punch are available as a bundle - you can save 10%! Last Day for Special Offers! Control Freaks Happy Fall, Y'All!